Nature Inspired Sensory Bottles are the perfect way for babies and toddlers to safely investigate natural items without the risk of choking on them. 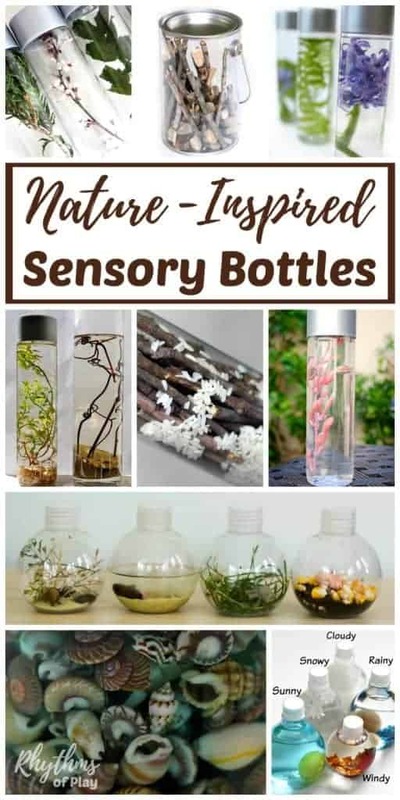 This awesome collection of nature sensory bottles can also be used as a teaching aid, and a calm down tool to help children (and adults) relax and unwind. 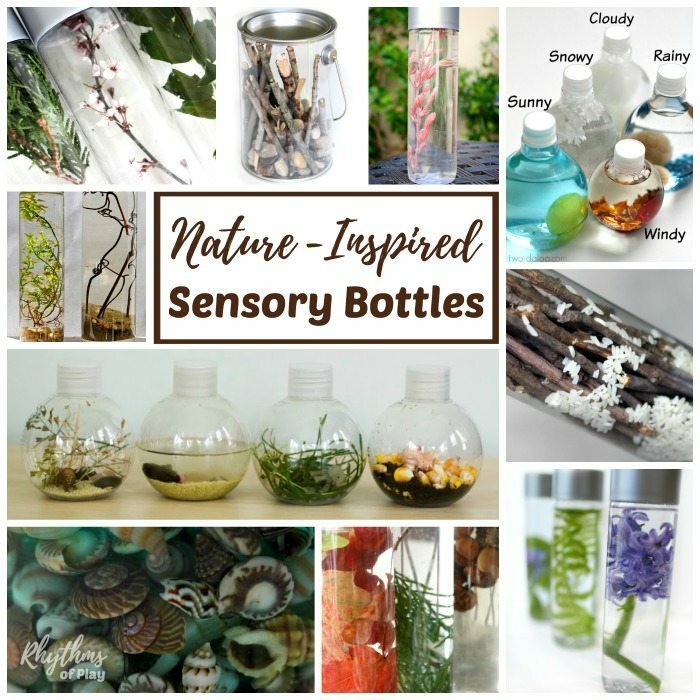 I did my best to arrange this awesome collection of nature sensory bottles into categories so you can easily find what you are looking for. 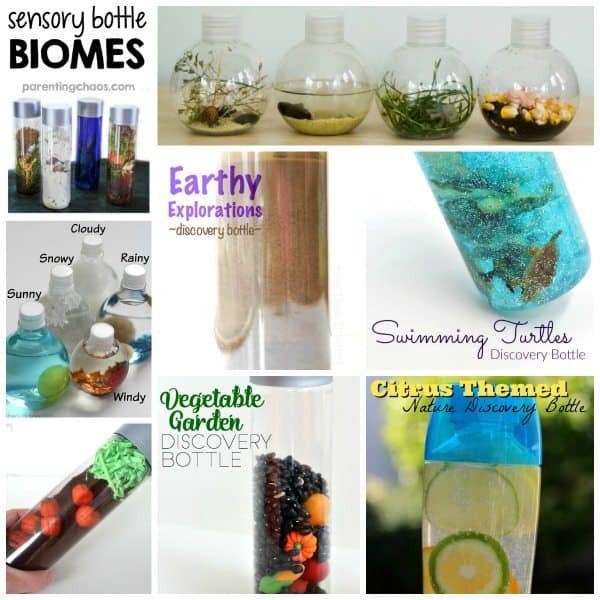 Many of these nature-inspired sensory bottles fit into more than one category, so I did my best to place each of them into the category that is the best fit. Photos of each bottle appear in a photo collage below each category. The sensory bottles featured in the photo collages above are marked (*) so they are easy to find. Related: Nature craft Printables: Masks, Crowns and More! 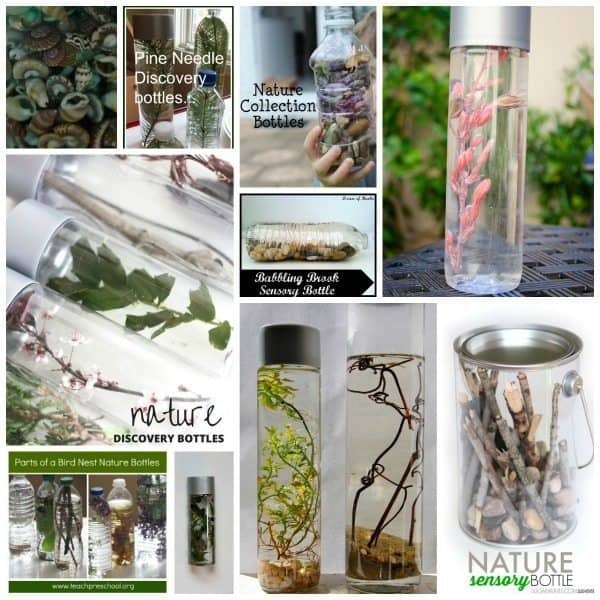 This fun collection of nature sensory bottles can be used for safe no mess safe sensory play, a teaching aid, a time out tool, and to help children (and adults) calm down and unwind. 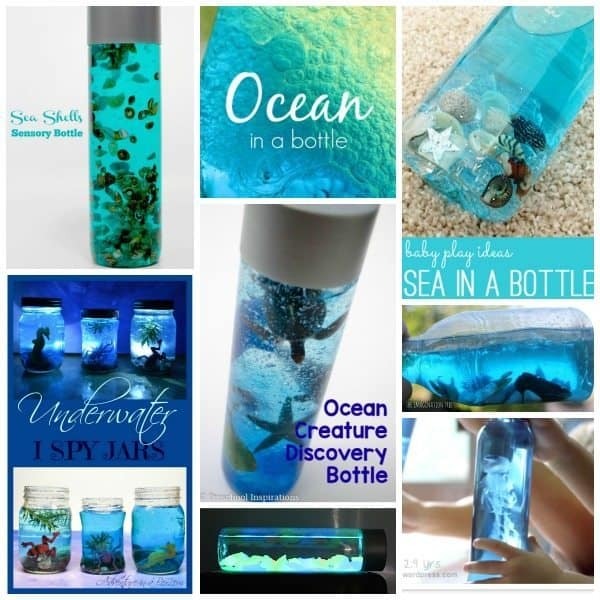 Nature inspired sensory bottles are also the perfect way for babies and toddlers to safely investigate natural items without the risk of choking on them. 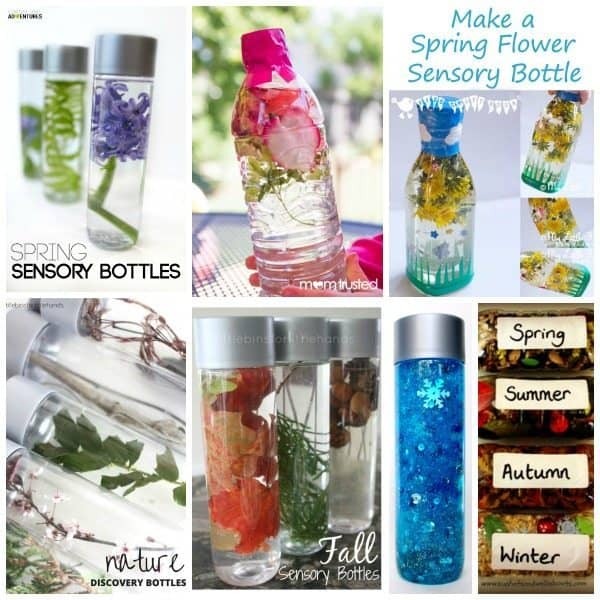 To learn more about sensory bottles and their uses check out calm down sensory bottles 101.